The spring season is all fun with the sunshine and flowers but for those who have asthma, it could be the worst days of the year. That tightness that you feel in your chest, difficulty of breathing, wheezing, and a dry, persistent cough are just some of the tell-tale signs that you are possibly having an asthma or allergy attack. According to the Allergy and Asthma Foundation of America, around 1 out of 5 people in the US have allergies or asthma. Whether it is you or a family member who has an all year round indoor allergies, you need to take extra measures to keep your home free from allergens like dirt, pollen, dust mites, etc. The greatest source of allergen is your home flooring. It’s time to avoid these symptoms by keeping your house clean and and sparkling! Listed below are some excellent products and tips you can try to naturally fight asthma and allergies. Patients with asthma have more sensitive airways. They are likely to react to allergens or triggers, causing the airways to swell and become narrow. Asthma symptoms will soon follow. By avoiding triggers, if possible, can help control asthma symptoms. Extensive cleaning at home can make a huge impact and difference to people with asthma and other types of allergies. As mentioned earlier, home flooring is one of the greatest sources of triggers. You have to avoid carpets and any underlay that can promote the growth of dust mites, molds, and other debris. Hardwood floors are normally the best option for asthma sufferers. 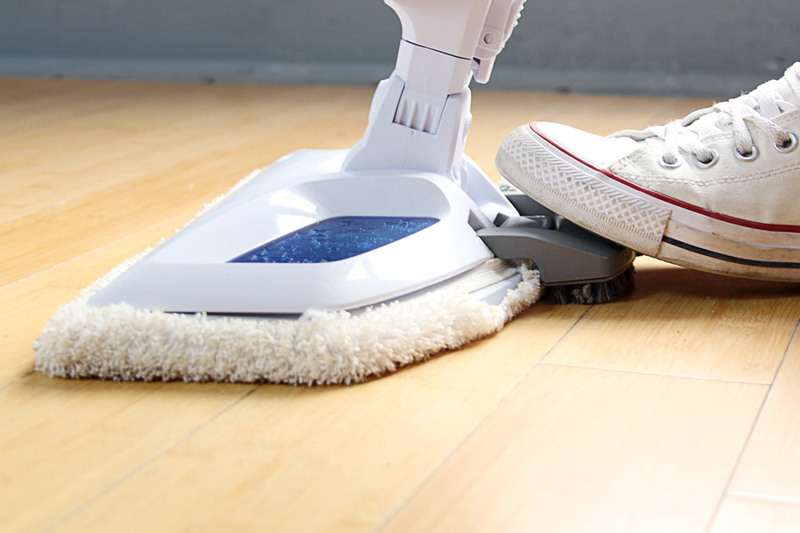 Cleaning your flooring, especially hardwoods, should be easy using high-quality floor scrubbers. This floor scrubber is very convenient to use. It’s cordless! It is powered by a built-in rechargeable battery that runs for up to 50 minutes. It can rotate at 360 degrees at high speed without interruption. 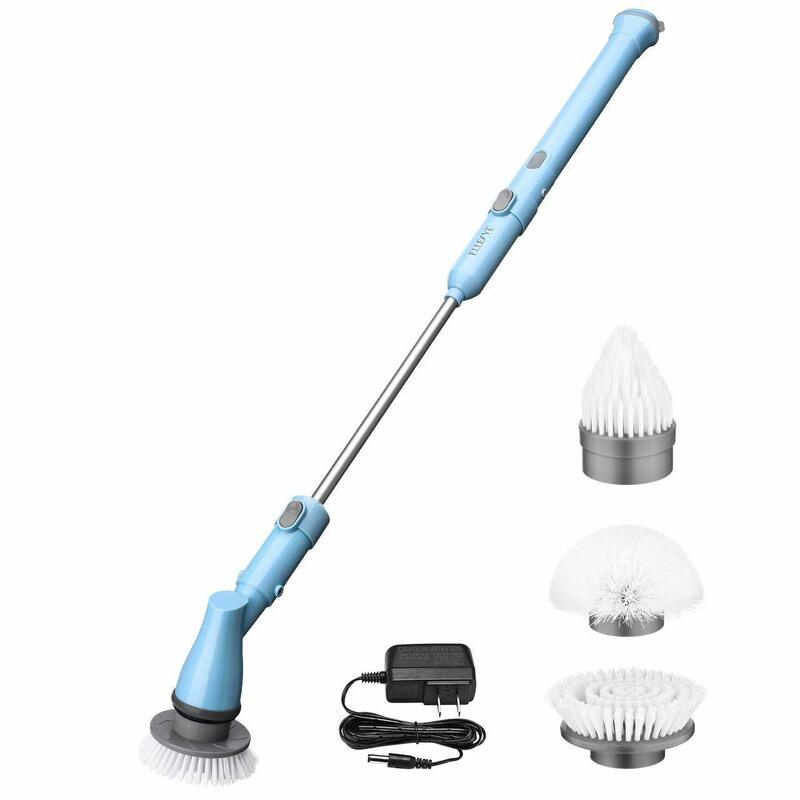 It comes with 4 replaceable brush heads, fulfilling different cleaning requirements. You can use this product not only on your flooring but also in the tub, toilet, windows, ceiling, and more. 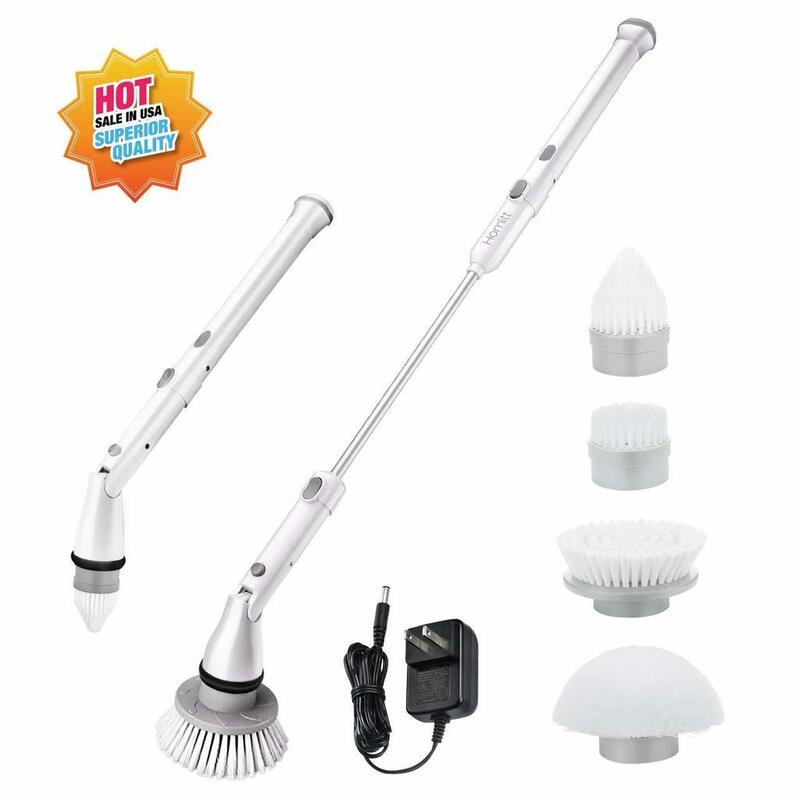 The brushes can effectively remove soap scum, mildew, dirt, dust mites, and more. There’s no need for you to waste too much time cleaning your home. This high power scrubber can get the work done fast and easier. Homitt power brush stands out from the rest because of its extension arm and adjustable brushes handle that can be titled, making it more comfortable to use, especially when cleaning hard to reach areas. There’s no need for you to bend or kneel on the floor. 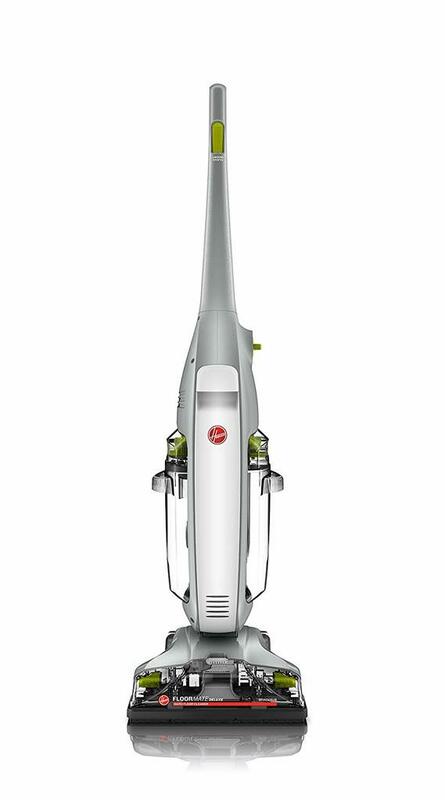 This powerful steam mop by Bissell can help sanitize your hard flooring to remove 99.9% of microbes without the need to use strong chemicals. Aside from dirt, dust mites, mildew, and other bacteria, it can also effectively scratch off tough and sticky messes using its on-board spot boost brush. The package includes two kinds of pads that will surely fit your cleaning needs. 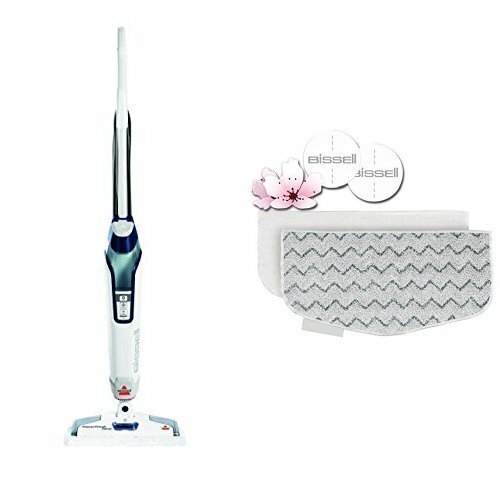 One is a soft microfiber mop suitable for daily cleaning and the other one has a scrubbing strip for tough messes. What’s nice about this product is that it has 4 spring breeze scent discs. This gives off a fresh, clean scent in your home as you steam mop the flooring. The mop pads have microban. This helps prevent bad odor, which may cause the growth of dust mites and other microbes on the pad. This floor scrubber from Ellesye is very convenient to use. It is powerful and lightweight. Its powerful motor can spin up to 300 RPM, scrubbing away tough dirt and microbes with ease and comfort. The handle can be extended up to 41 inches making it very easy to reach hard to clean areas. There’s no need for you to bend to kneel. This product can make tough cleaning easier than ever! It works well up to 70 minutes and charging time is around 3 hours. The package comes with 3 different types of brush heads. The flat brush is perfect for cleaning tiles, ceilings, and windows. Round brush can be used for the sink and tub. Pointed brushes are needed for hard to clean areas like corners narrow spaces, where dust mites and other microbes could build up. The SpinScrub brushes of this product deliver the best cleaning services while gently and safely scrubbing your flooring. It makes use of a dual tank technology, that separates clean and dirty water. It wash mode makes use of brushes to clean while suctioning up excess water. Dry mode will stop the brushes to collect water and boost drying time. It’s very easy to use. It’s fingertip control adds more detergent to stains and hard to clean areas. It’s very lightweight, weighing less than 14 pounds, making it easy to move from one place to another, even on stairs. This hard floor cleaner gets the job done perfectly. Dirt, mold, and dust mites will all be gone, making it good product for those who suffer from allergy or asthma. It’s very easy to clean and rinse. Surely, no hassle! Always remember, keeping your home clean, especially your flooring, is an important strategy to prevent allergy and asthma symptoms. It sure does help! Go, bust the dust!